Qi Image Spa offers a variety of facials to treat most skin conditions as well as to pamper and nourish your skin for a healthy clear complexion. Routine deep cleansing is the base for healthy and glowing skin. 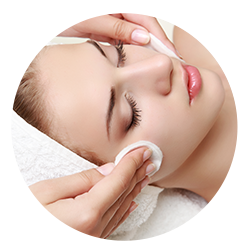 Qi Image Spa’s cleansing facials for the monthly maintenance of normal skin or oily skin. They are Parisian facial, crystal clear facial, and Gentleman’s skinfit facial. 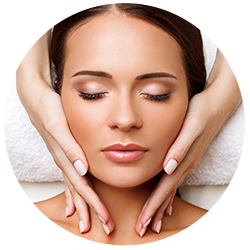 Qi Image Spa’s nourishing and pampering facials helps balance oil, water and nutrients in the skin. They are good for dry skin, mature or demanding skin, as well as for a pampering spa experience. 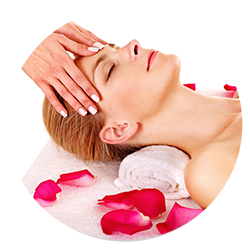 These facials are Rose flower petal facial, 24K gold facial and oxygenating facial. Qi Image Spa has four rejuvenating facials: 24K gold facial, oxygenating facial, therapeutic face massage and brightening peel facial. 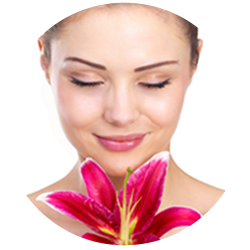 These facials help to stimulate the growth of new healthy cells to give your face a refreshed look. Qi Image Spa offers some resurfacing facials that removes the top layer of dead skin to reveal a newer healthy skin. The resurfacing facial treatments are: microdermabrasion facial, glycolic peel facial, dermal pen micro needling and brightening peel facial. 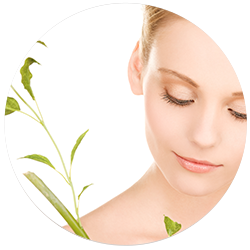 Qi Image Spa’s estheticians also offer some specialty add-on skin care treatments. Lymphatic drainage for puffiness; Back, neck and upper chest treatment for minor imperfections; eye or lip treatment for the most used but the least protected areas; and eyelash or eyebrow tint to help your eyes stand out. 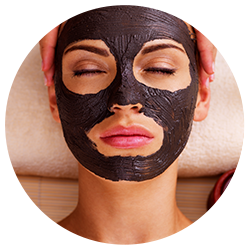 If you are not sure at the first, we usually recommend that you book a Parisian facial. The esthetician will discuss with you after they have a chance to evaluate your skin. This facial hydrates, nourishes skin and reduces the appearance of lines and gives the skin a healthy glow. This premium facial includes microcurrent treatment, microdermabrasion, a luxurious mask and cold laser light therapy to complete the cellular renewal process and rejuvenate skin. This ultimate facial starts with an exfoliation and Swedish brightening peel, followed by the microcurrent lift to strengthen muscles, mini HIFU treatment to stimulate collagen production. A luxurious mask and cold laser therapy result in a refreshed radiant complexion. An anti-aging facial might include a chemical peel, collagen masks, and special serums that have antioxidants like vitamin C or ingredients like hyaluronic acid, which attracts water to cells) exfoliates and nourishes the skin to promote clear, well-hydrated skin. 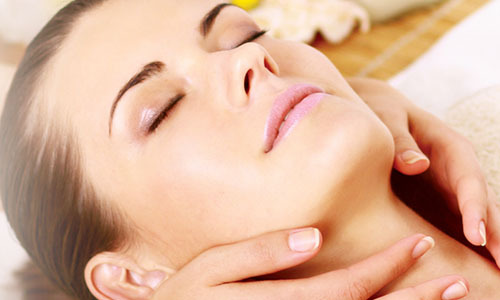 It is sometimes called a "deep-cleansing facial" or "deep-pore cleansing" facial because of extractions. There are other powerful anti-aging treatments you can get, including photo facials and microdermabrasion. 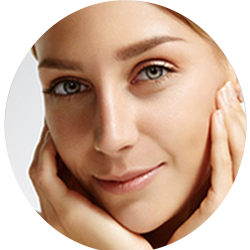 Microdermabrasion is a method of exfoliating or removing dead skin cells on the surface of the skin. The procedure reduces fine lines, age spots, blemishes, scarring, and stretch marks. 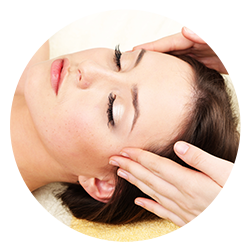 60-minute session is a full facial combined with microdermabrasion treatment. A series of 4-6 is recommended. There may be a standing alone microdermabrasion session for repeat clients via the estheticians suggestion. It may also be combined with glycolic peel in the facial session. 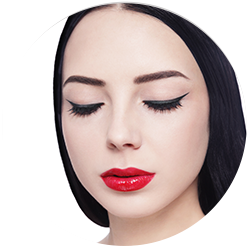 Tint eyelashes with your chosen color. Tint eyebrows with your chosen color. That hard to reach back area needs care and attention. Deep cleansing, exfoliation, and extractions purify while a botanical mask and therapeutic lotion restore balance and softness. Great for congestions and breakouts on the back. 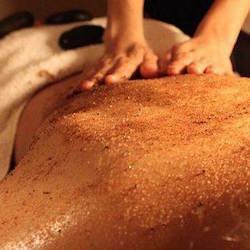 A body polish is a popular body treatment that exfoliates and hydrates your skin, leaving it smooth and soft. The best way to think about a body polish is that it is a treatment for the skin -- basically a facial for the body. This is an anti-aging, hydrating, nourishing facial. Ideal for hyperpigmented skin, this facial treatment controls hyperpigmentation problems while rendering skin bright and radiant. A series of this treatment is recommended. Ask our Esthetician. 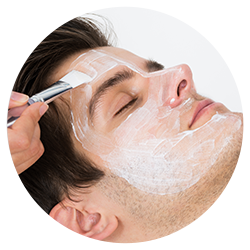 This is the classic European facial for man that deeply cleanses the pores without irritation. This premium age-defying facial hydrates, nourishes, smooth & lift fine lines and wrinkles, plus give your skin a radiant healthy glow. It includes diamond microdermabrasion, no needle mesotherapy, cold laser therapy, 24K gold collagen mask, 24K gold hyaluronic acid serum and 24K gold collagen moisturizer. Dermal pen micro needling is based on the use of tiny needles to create micro channels (tiny holes) in the skin. The process stimulates your skin's natural ability to heal itself and in the process regenerates collagen and elastin, and increase penetration of nutrients. It also works to reduce appearance of stretch marks and cellulite. It is effective in reducing wrinkles, tightening skin, minimizing pores and reducing appearance of acne scars. We adjust needles depth to .25mm-1.5mm. Applying numbing cream before the treatment makes it not painful. There is no bleeding with the depth we use and almost no down time. You can go back to work on the same day. However, you need to avoid strong sun and wear sunblock for at least 14 days. This facial reduces acne, blemishes and improves skin clarity while reduces inflammation. For breakouts and congestion. Including about 10 minutes extraction. Apply glycolic acids to improve skin’s texture, reduces fine lines and wrinkles, sun damage and help pigmentation problems fade. This express treatment includes cleansing, peel (with Image Skin Care IPeel), and sunblock. We recommend to combine it with a full facial (for total of 60 min) for a total skin care experience with optimal result. This 24 Karat gold collagen facial is an anti-aging (repair cell damage), rejuvenating, detoxing and hydrating facial. It gives skin GLOW, and improves skin tone and texture. Good for demanding and mature skin. It infuses your skin with a unique selection of repairing ingredients to regenerate, re-hydrate and revitalize, as skin oxygenation is reinforced. High-performing replenishing extracts result in vibrantly youthful looking skin. Helps reduce fine lines and photo-damage caused by sun exposure, leaving skin supple and smooth. This is the facial for blemished and problematic skin. 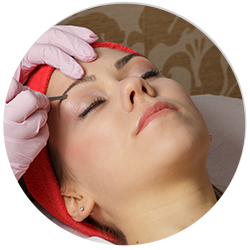 Our esthetician takes great care to do extensive extraction and avoid infection. Depending on the skin condition, multiple treatments may be needed. One of the most complete and personalized deep pore cleansing treatments that you will experience. Customized for normal, sensitive, dry or oily skin types. This facial allows the skin to be deeply cleansed without irritation. Recommended if you have not had a facial in Qi Spa yet.